Open All Year... 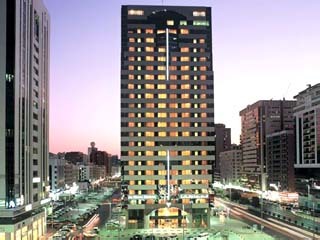 Le Royal Meridien Abu Dhabi is located in the city centre, within walking distance of the main business and commercial districts, the famous Corniche, and variety of stunning shopping malls. 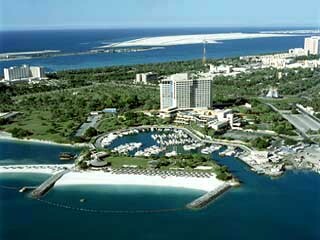 Le Royal Meridien Abu Dhabi is located in the city centre, within walking distance of the main business and commercial districts, the famous Corniche, and variety of stunning shopping malls. It is about 25 minutes drive from Abu Dhabi International Airport and within easy reach of the capital's finest golf courses, tennis courts and watersport facilities. 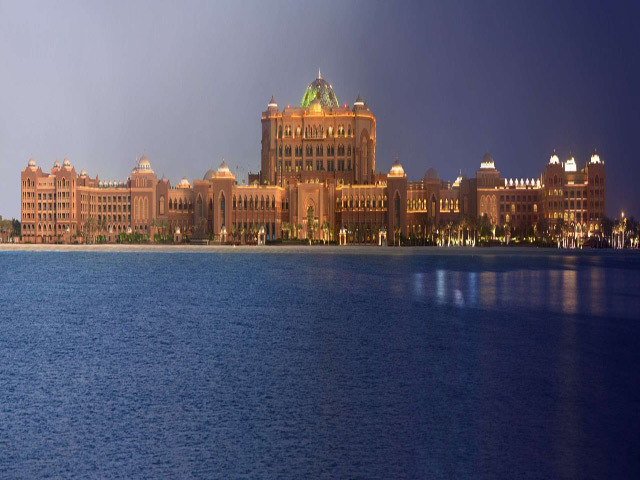 The Hotel has 264 elegantly appointed rooms and suites, all of them offering a striking view of the Arabian Gulf and the Corniche with its lush public gardens and squares. 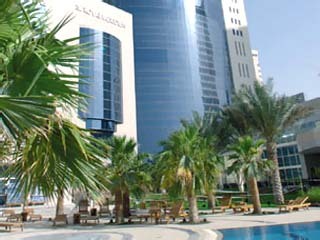 The Hotel boasts a wide choice of restaurants and bars. Al Fanar - The only rooftop ‘revolving restaurant' in the capital. Serving modern European cuisine. Situated on the 31st floor of the hotel this revolving restaurant offers breathtaking views of the city and the Arabian Gulf. Amalfi - The Italian restaurant with the new terazza you can dine inside or out on the authentic Italian specialties along with homemade pastas and pizzas. Zari Zardozi - An enchanting journey that takes you through a conflux of Indian traditional and a mix of modern cultural influences. Situated in the private environs of a villa, Zari Zardozi is a sensational progression through three levels: Zari Restaurant, Z'Dozi Lounge and Zardozi Hukka. Bars The choice of bars offers elegant places to meet as well as nightclub to dance the night away. 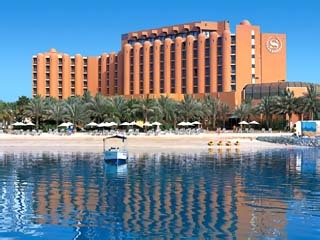 Aqua Resort - The poolside bar offers assorted sandwiches, creative salads along with cooling cocktails and ice creams.